But the great thing is that at the moment I’ve got a lovely stash to spend time flicking through to find a mini project to satisfy my itchy fingers. 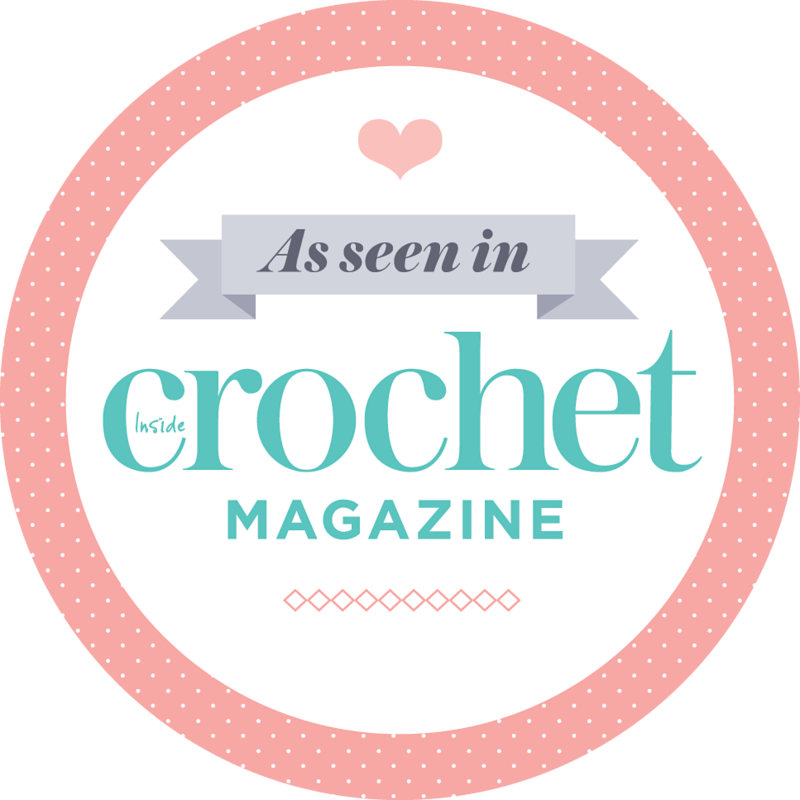 When Mollie Makes issue 21 came out last year I loved the look of the owl mitts and mug cosy, but was all about crochet at the time. 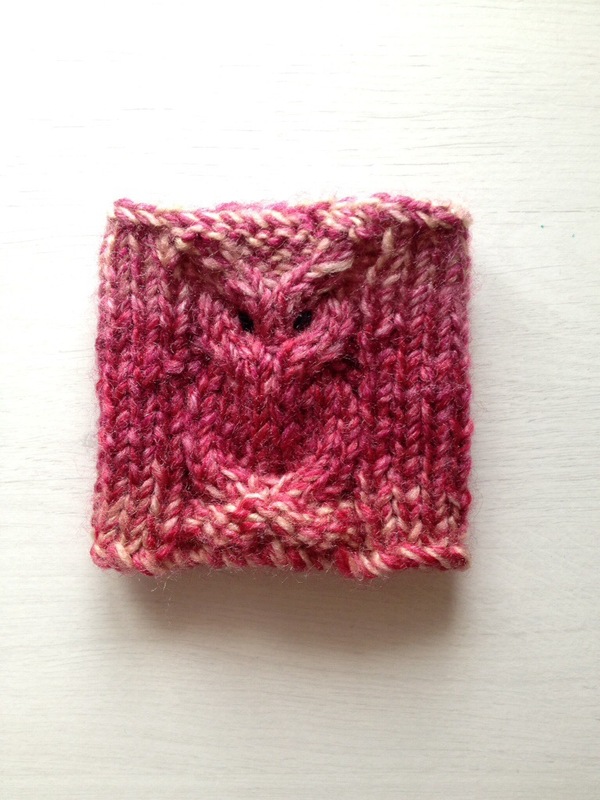 On Saturday I spent some time flicking through old issues to find a mini project to satisfy those itchy fingers, and ended up whipping up the owl mug cosy designed by Estonian knitter and designer Tanya Antonova. 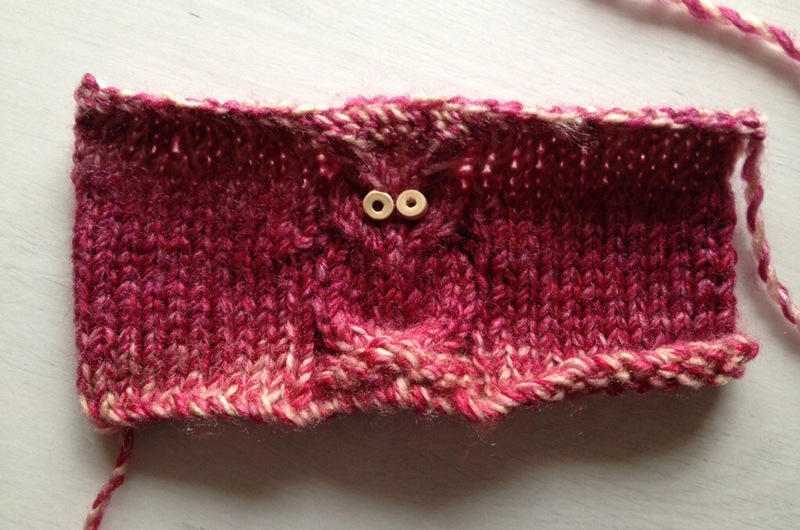 I can see a purl stitch where there should have been a knit, but other than that am pleased with my second ever time cabling. I tried these little wooden beads, they are from a bracelet a colleague bought me from her trip to Pakistan. Sadly it broke after lots of wear and was too complex a design to repair, but I scrambled and retrieved all the beads to keep in a tin. They look fine as eyes but didn’t look right when sewn on, perhaps it would be useful to buy some ‘invisible thread’. 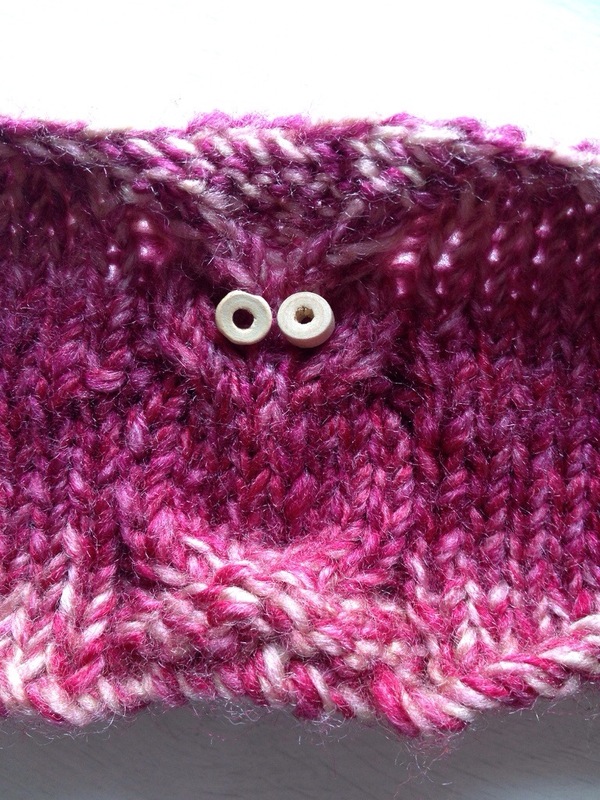 I opted instead for slanty woolly embroidered eyes. They are rather piercing in their own way, though admittedly not half as good as the magazine’s beady version. I crocheted the piece together, not leaving a hole for the handle as it didn’t actually fit any of the mugs in the house! I wondered if my tension was way off, though had used the recommended chunky wool (leftover from the chunky seashell scarf) and size 5 needles but you never know. In moments of doubt Google can really be your friend – I found others who had found the same and decided the mugs in Estonia must be significantly smaller than here. I’ve stitched him up and thought I could either wear him as a wrist warmer (eyes were rolled at this) or make a sweet little jar cosy. What mini projects are keeping you busy? 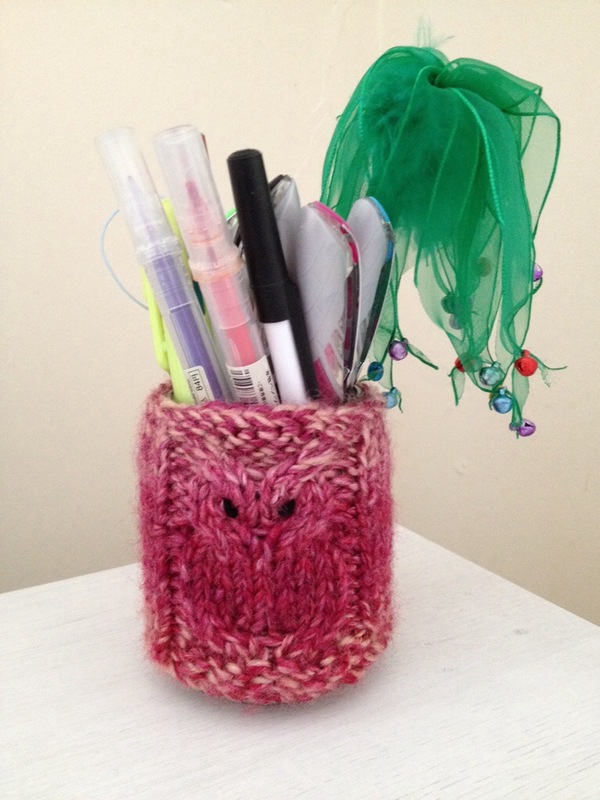 I made this and I also couldn’t get it to fit any of my mugs…I think I got it to fit an egg cup ;-) It now sits in my craft bag as I can’t bring myself to frog it. You’re welcome. 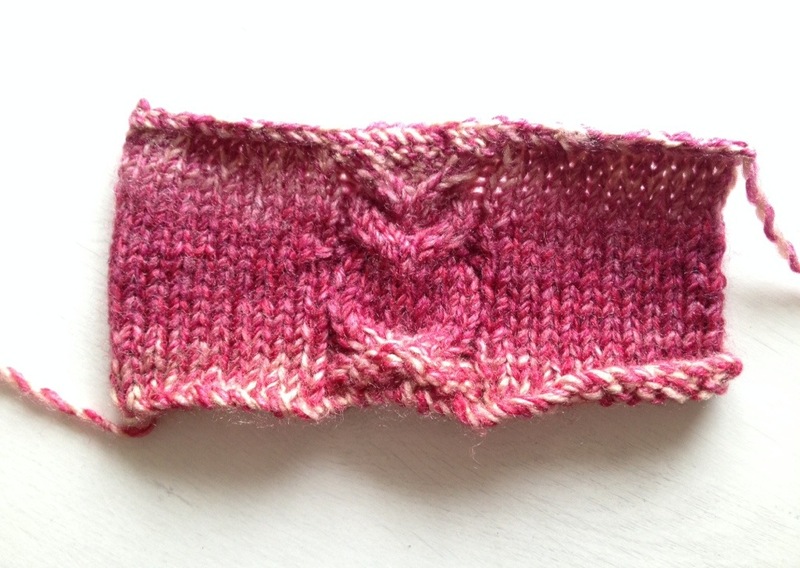 Shame for it to languish in the bottom of a craft bag – such a cute pattern! Oh how I love the owl mitts. They would be perfect for my son’s girlfriend for Christmas. Hmm, I wonder if I’m clever enough to do it without a pattern? You can buy copies of MM digitally. You need issue 21. Its so cute and looks brilliant on the jar! I was tempted by making one myself, will definitely try and fit it in now that I have seen someone make it!